With the help of the Hong Kong Investment Visa of 2017, you can very well live your dream of investing in a growing region. But, there are a few things that you should know about the Hong Kong Investment Visa. In this piece, you will get a brief about the Hong Kong Investor Visa for 2017and why it has been called the toughest visa to crack. Investors are always concerned about undertaking their investments in the best areas in the world. Once you are on the quest to find the best place, it would be a tough call to avoid the Mainland China, but owing to anarchism and lack of democracy, most of the investors have found China as a tough place to be. On the contrary, an extended part of China, as claimed to be, this Special Administrative Region (SAR)of China would always captivate you for the investment. 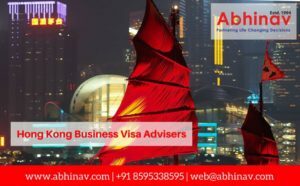 Why Hong Kong Investor Visa is Toughest? The first thing that might have come in your head would be why Investment Visa to Hong Kong is toughest, after knowing that the SAR is a business state with lucrative opportunities. It might set you off terribly to know that only 200-300 visa approvals happen under the Investor Visa Scheme for the region. Such numbers are paltry in comparison to the Work Visas which are approved in large numbers (25,000) every year. The highest capital Investment Visa was sanctioned in 2010 where total numbers hit a historic figure of 1300. Even since then, there has been a drop in the visa acceptance under the Investment Visa Scheme. The Hong Kong Identity Card or a parameter for getting the Hong Kong Investor Visa analyzes and accepts different conditions, and based on the challenges, they give the visa to the visa holders. Liquidating the monopoly will allegedly amount to the foreign nationals taking control of the economy of the SAR. By allowing only 10-15% stock holding in the different companies across the region, the concerned authorities somewhat restrict the possibility of growth and expansion of the MNCs. They are always eager to tackle the Foreign Direct Investments(FDIs) in order to keep the challenges posed by foreign nations at bay. At the same time, the immigration department of the SAR will also meddle in the affairs of the enterprise, thereby, investors might find it tough to manage and continue with the business operation in a smooth way. Keeping in mind all these challenges, not many applicants are keen to apply for the Hong Kong Visa. At the same time, it often takes 4-6 months for a formal approval of the visa. This might put the investor in a state of doubt and dilemma. With all these things kept in mind, often many investors do not show much interest in applying for the visa. But since the Hong Kong Investment Visa 2017 saw some applications, the chances of getting the acceptance has always been higher, and you can easily make it grand by applying for this visa.